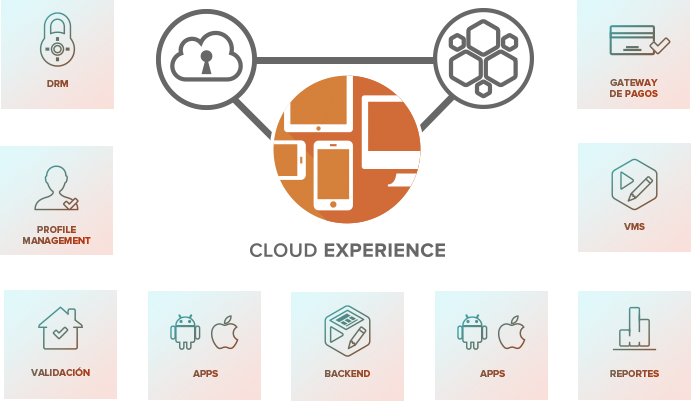 Cloud Experience is a platform that covers all the requirements to deliver content to end users. It has a unified back-end to provide a unique experience, regardless of the device. It offers content to the OTT audience, through web platforms or apps for phones and tablets, both IOS and Android. The platform is integrated with our Cloud Unity and Cloud Pass solutions to make everything easier and faster. With Cloud Unity we facilitate the management and distribution of content according to the requirements of each provider. With Cloud Pass, the user authentication process is simplified to give them access to the video either inside or outside the site or app. Make the difference with Toolbox technology on your platforms. With Cloud Experience you can choose the components you need to organize your OTT website and apps from a self-management back-end. You can add content and EPG grids, carousels, favorites lists, galleries, banners, advertising spaces, full or mini versions of calendars, “Live” and “Next” content flags, html and html/js sections, among other features. All Cloud Experience components are standard and allow to personalize the content exposure according to each content provider & tv operators requirements. You can quickly complete your platform by adding all the content you want using Cloud Experience, the self-management platform pre-integrated to Unity. Cloud Experience backend allows you to add and remove the pre-integrated content to our API of content acquisition and distribution in a matter of seconds, although you can also do it manually. You can adjust the content configuration according to the requirements you have with each provider whenever you need it. Cloud Experience has an Implementation team to help you build your platform the first time and provide identity by applying the colors and logos of your brand. We also offer a free or premium Support Service to make everything much easier. Adapt your site as many times as you want. Add, remove, rearrange and try new things. Edit the components or conditions of the content from the Backend to highlight different movies, episodes, or whatever you need. 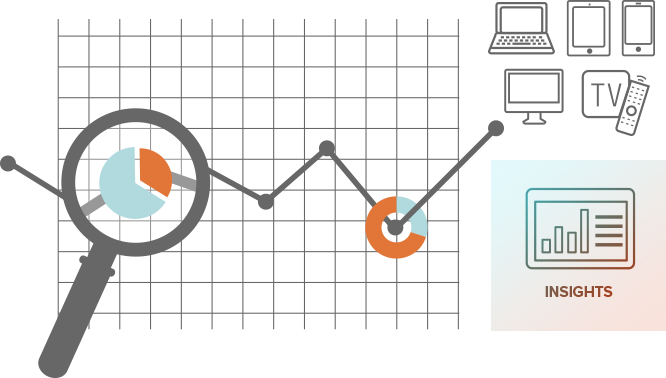 Use measurement tools to analyze your audience and adjust your preferences based on the reports to maximize the reproductions from your site & apps. Cloud Experience allows you to add value to your platforms whenever you want. It is pre-integrated with the Toolbox product family to improve the experience of everyone involved in the video management process.